The ultimate goal of the biopharmaceutical industry is to ensure a consistent supply of safe and effective drugs to patients who need them. One key factor in doing so is to address the challenges of raw material sourcing and management. 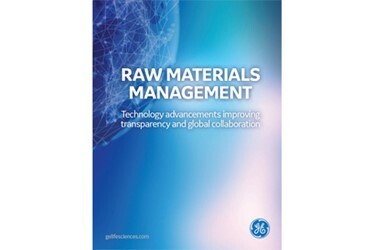 This e-book explores the thoughts and approaches from experts who gathered at the second annual Raw Materials Variation and Control Symposium to discuss how we can ensure our supply chain is fit for purpose.